The first episode of Maho Shojo Lyrical Nanoha StrikerS was aired in Japan recently, and I got the chance to see it. I admit I was rather interested because I liked both the original Nanoha and its sequel Nanoha A’s. Both redefined the “Magical Girl” genre, that was in my opinion somewhat stale since the end of Sailormoon, with many twists and a lot of added action. So when news of a third series came out, I was naturally interested, despite some concerns about the characters. Now that I’ve seen the first episode, I can say that many of my doubts were baseless. The OP (The song is_ Secret Ambition, _performed by Nana Mizuki) already has a group-focused approach and doesn’t leave out Fate and Nanoha, instead it looks like they’ll both have important roles along with the new characters. 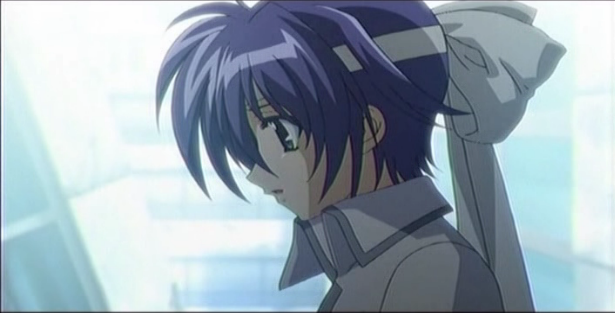 The episode starts with a flashback in which one of the new characters (Subaru) is rescued from a fire by Nanoha. 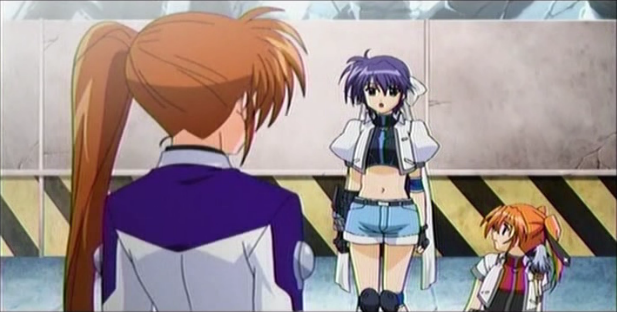 The event has quite an impact on the young Subaru, who decides to take Nanoha as a model. Cue to the present: Subaru and her friend Teana are taking an examination to raise their Magic User ranks (from C to B). 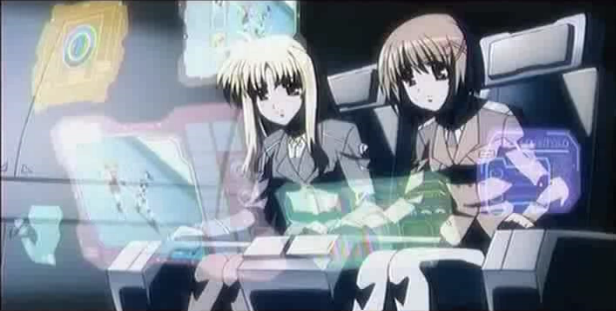 The operation is supervised by two other familiar characters: Fate and Hayate. The test begins, and this is also a way to show Subaru’s and Teana’s magic. The former uses a sort of iron punch to attack at close distance, while the latter uses a gun (but with many special tricks). As the two fight their way through drones, they perform reasonably well, until Teana gets injured (the “usual” sprained ankle). She asks Subaru to leave her behind, but her friend is not too keen on that. In the end, after an “emotional” moment, they decide to give a shot to their last obstacle before the time runs out. 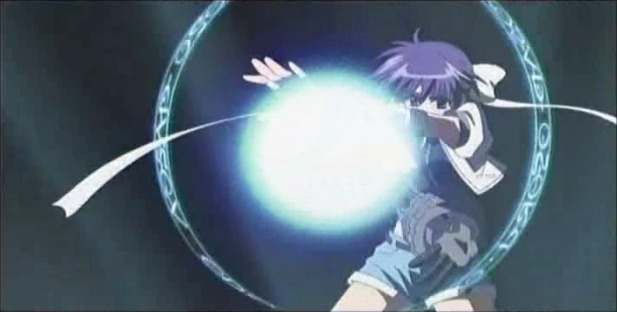 While Teana uses decoys to distract the large enemy they have to defeat, Subaru gets near to it and moves for the kill, using a move with the same name as Nanoha’s, Divine Buster. In the end the move proves succesful, as the enemy is defeated. But there is little time left, so they run towards the endpoint… unfortunately Subaru speeds up too much and risk crashing onto a wall with Teana, but luckily Nanoha arrives and saves the day (as usual). The episode closes with Subaru crying after seeing Nanoha again. Animation-wise, it’s quite good. There are lots of dynamic scenes, but with a good level of detail. I like the new designs and Subaru looks to be a good character after all. There’s not much to say about the story (yet) but I trust the staff: also, since it’s a 26 episode series I’m sure there will be plenty of time for developing old and new characters. I enjoyed Nanhoa StrikerS very much. If the rest of the series keeps up with this, I may consider getting the DVDs when they are out.